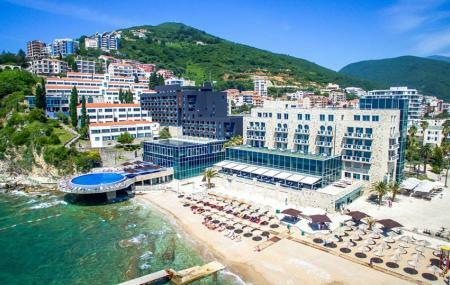 Located just a few miles away from the bustling city and marina, the posh Avala Resort and Villas at the beachfront with its beautifully designed architecture is located near the historic Budva by the Adriatic Sea. Standard Guest Rooms, Superior Guest Rooms, Family Suites, Family Villas, Standard Villas, Executive Suites, Standard and Superior Two Bedroom Penthouse Suite, Luxury Suites, The Penthouse, Presidential Suite and The Grand Suite are the best options of your luxury accommodation at this four-star hotel. Get rejuvenated at the Phyt’s Spa and Wellness through the massage and therapies. Avala Casino and Cabaret will also offer you a fabulous gaming and entertainment experience. Want to plan a DIY trip? Use Budva trip planner for the same. Fine Accommodation options like Apartment Sirena, Garni Hotel Mb and Guest House Mary will meet your requirement of where to stay in Budva. There are plenty of ready-to-book Budva vacation packages available that will cover the major attractions, accommodation concerns including the prime one like how to reach Budva. How popular is Avala Resort & Villas? People normally also visit Jaz Beach while planning their trip to Avala Resort & Villas. Very cool place. Nice view of the Adriatic. Great vibe good service and varied selection of food. My family stayed here two nights in November. Pros: the pool and hot tub are open year around. The location is amazing (right by old town and the water). The views are gorgeous. Nicely catered buffet dinner and breakfast included. Free parking. Comfortable beds. Excellent staff at the reception. Cons: the room was updated but stark. It was not cozy or super welcoming. The wifi was not fast. Summary: We enjoyed our stay and would happily stay here again.